The Green Girl participated in the inaugural Running for Angels Race Series Running For Angels Virtual 5k last month. The Running For Angels 5k race benefited the Foundation For Angelman Syndrome Therapeutics to help fund important research for treatment for Angelman Syndrome. 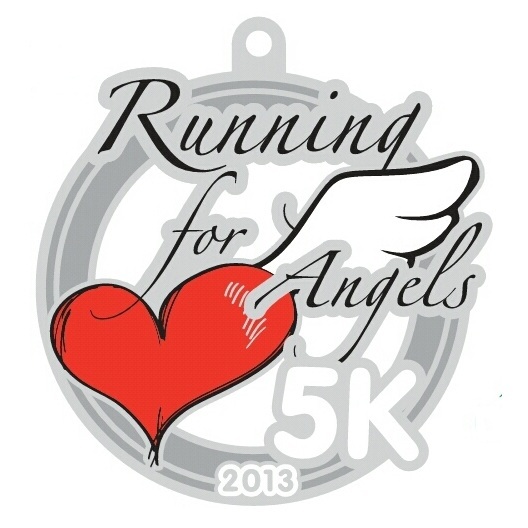 The next event in the Running for Angels Race Series will be a Running for Angels Summer Race the week of August 25th. Participants will have the option to complete a 5k, 10k, half marathon, full marathon, or team marathon. For the full and half marathon, participants be given the entire week to complete the distance and will have the option to tun it all at once, or a little each day. The team marathon will consist of groups of 4 and the group will collectively run 26.2 miles. If you would to enter to win a free race entry into the Running for Angels Summer Race for a distance of your choice, 'Like' Running for Angels Virtual Race Series on Facebook and let me know you 'Liked' it with a reply to this post. The deadline to enter is Sunday, June 2nd at midnight Pacific Time. The winner will be announced on Monday, June 3rd.